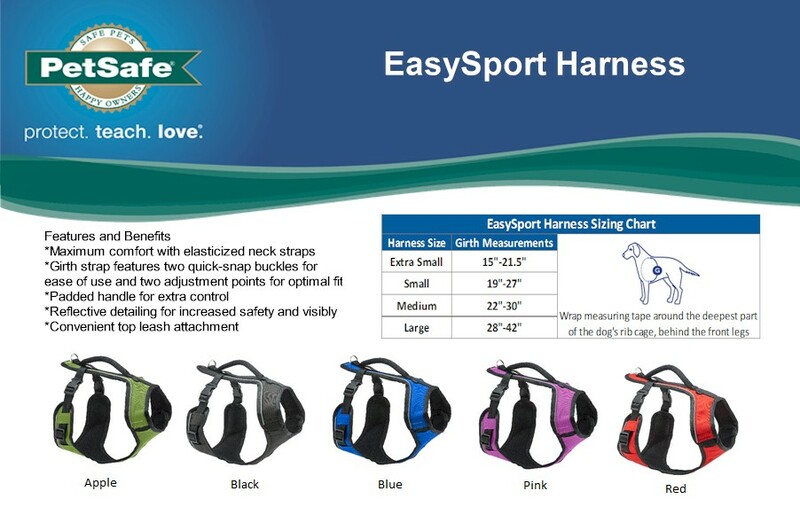 Description The EasySport™ Harness is fully adjustable and padded throughout, providing ultimate comfort for dogs. The nylon material and elasticised neckline allow for a cosy fit, while the 2 quick snap buckles make the harness easy to get on and off. The top handle provides an extra degree of s..